1964 was a milestone for Sweden's automotive industry. 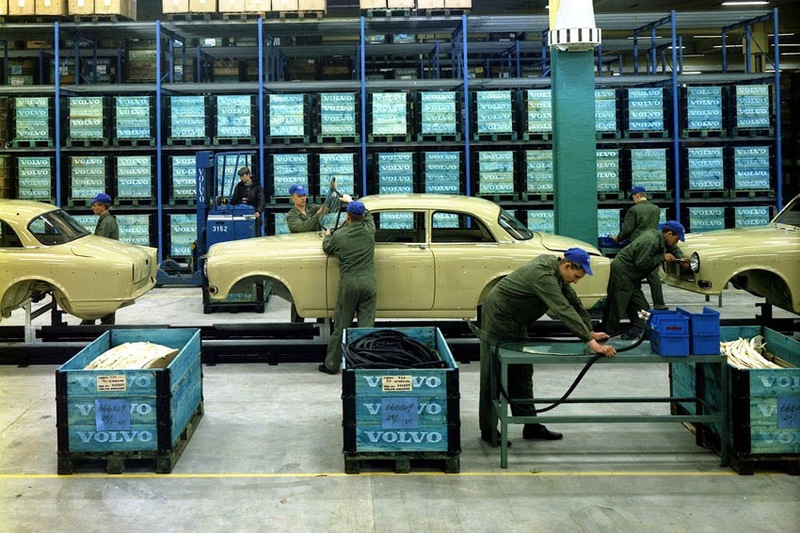 That was the year Volvo Cars opened its gates at the Torslanda plant, marking the biggest industrial investment in Sweden's history. bar for the development of new models, production volumes and manufacturing technology. Over a period of five decades various classic models have left the factory gates, models that have defined what the Volvo brand stands for, with a focus on safety, environmental care, and quality. 50 years later, Volvo Car Torslanda is more in focus than ever before. The opening of the new body plant, Torslanda TA3, together with the multi-billion investment in the SPA (Scalable Product Architecture) platform constitutes the basis for scalable and flexible development and the production of future model generations. First off the mark with the new platform is the all-new XC90, which will be launched later in 2014. During the year Volvo Cars will highlight 50 years of development, team spirit and innovation in a variety of ways. The celebrations will get under way on April 24, exactly 50 years after the original plant's inauguration. Invited guests will attend the opening ceremony of the new bodybuilding plant and be treated to an historic exhibition, visits to the plant and visions of the future.